MikeSextonNC | Raising the value of women one man at a time, while pursuing the hearts of men with passion and grace. We all know that Easter is coming and signs of Spring are blooming everywhere. Coming out of the dark and cold of Winter is energizing with the sun shining brighter and the days getting longer. Yes, we may celebrate Easter with a Reese’s chocolate and peanut butter Easter Bunny. These reminders are woven into our daily lives as soon as the first petals appear on the Cherry Blossoms. For me though, this time of year is a great time to reflect on the Cross. What we tend to forget is how we got here and who saved us. Jesus Christ was anticipating our freedom and our salvation as Easter drew near. He was excited for all of His believers knowing that we were being given the gift of eternal life. He also wanted to show His love to the entire world so He chose to extend forgiveness and to offer everyone salvation. He chose a brutal death in a brutal time in history. Why not by “guillotine” or “lethal injection?” Those methods are much quicker and much humane then wearing a crown of thorns and experiencing excruciating beatings, scourging and suffocation. Luke’s depiction of the crucifixion (http://bit.ly/2VngHXI) captures the agony of the Cross much like The Passion (http://bit.ly/2CZoHa2) does of the scourging Christ took at the hands of the Romans. The fact that Christ chose to surrender himself to go through this hell is just another example of how much He loves us. Considering what Jesus went through and how He suffered for us, please remember how He forgave us of our sins, was ridiculed in the process, and surrendered Himself to our Father in Heaven. And on Easter Sunday morning celebrate His Resurrection because He rose from the dead and today He is alive seated at the right hand of the Father until the day He returns. Twenty seven years ago today my life was changed forever. At 35 years old, and just six weeks from my 36th birthday, I married Lisa Burrell. To have and to hold. Neither of us had been married before so this was brand new territory for us both. The difference was that Lisa had Jesus on her side. I didn’t… yet. She had an eternal mindset. I was just jumping in the pool not knowing how cold the water would be. Lisa had an amazing journey with God that started just 18 months earlier with an abrupt move from the suburbs of Chicago to the shores of Long Beach, CA. She knew she was delivered and she knew God had a plan for her new life. It was apparent to Lisa that I would be a part of that plan shortly after I walked into The Reef. Lisa just started working there a few weeks before and God provided her a hot meal everyday. He was showing her the He was her provider. I was looking for a set to film an episode of China Beach and had no clue that my life would be changed the moment I saw her. Three months after our wedding day we decided to move away from Los Angeles and after listing several cities we felt we could live in we settled in Charlotte, NC. Less than a year later we were on the brink of disaster. Lisa was working and I was floundering. She had a support network with the friends she made at work. I was drifting through odd jobs including selling produce, Christmas trees and bar tending. Lisa was praying for me every day while I was drinking. I was falling deeper into my demise which manifested into depression and self pity. We were going to a small church with a handful of charismatics and with Lisa’s prompting, the men invited me to a men’s retreat. I reluctantly agreed. Looking back it now makes sense why Pastor Geoff wanted to play tennis so much. Lisa was calling him asking him to reach out to me. Neither one of us knew at the time, but Lisa’s prayers and her diligence in witnessing to me, God was setting me up. The night before the retreat I was bar tending in a local pub. Lisa was back in California for a conference. It was February 19, 1993. It was 17 degrees that night and God decided it was time to get my attention. Most nights I would have kept my coat with all of my personal belongings behind the bar. This night I hung them just inside the back door. At closing time I could not find my coat since someone took it home with them. It was 2:30 AM and the locksmith told me they could come now for $200 or come in the morning for $40. Even in my inebriated mind that decision was an easy one. I called my drinking buddy Joe to stay with him. My keys were gone so I couldn’t get into my house. Joe said “Come on” so I walked a couple of blocks to the produce store he lived in. Joe had a cot and a sleeping bag he used. Nothing more. I settled on the concrete floor in the 17 degree temperatures with no coat, no keys, and no identity since my drivers license was gone too. God spoke to me at that moment letting me know that He gave me everything. My car. My comfort. My identity. My wife and my life. And He could take it ALL away in an instant. I went to the retreat later that day. Hung over and humbled. I have no idea what Peter Lord said in the opening session but I found myself surrendering my life to Christ. From that moment my life has never been the same. God freed me from myself that day. Freed from drinking and depression. And with Lisa’s help, He saved me. Now 27 years later I realize that I not only got married but I was given a wife who literally saved my life. Thank you Jesus and thank you Lisa. How Do We Know That God Has Got Us? Today we all said goodbye to an awesome man, Chris Bradford. He was a loving husband, caring and supportive son, and a pioneer among men advocating for victims of intimate partner violence. I met Chris in July of 2008 when he showed up at a Domestic Violence Speakers Bureau training I was conducting. He was hungry to learn and had an overflowing passion to support survivors and victims of emotional, verbal and physical abuse. Chris was one of only a handful of men that showed up and participated whole heartedly in an effort to engage other men in turning the tide of violence against women and girls. He had courage and determination to make a difference. And he did. He leaves a legacy and he clearly touched many lives in his short time with us. The primary challenge for me today is realizing that even being a champion for others, as Chris was, we also have our own struggles. We can advocate and participate in rallies and gain accreditation, but we are alone with our own internal battles to fight. Chris, at 42, was apparently so consumed in his own fight that he decided he couldn’t win. He forgot for a moment how awesome he was. It is with a heavy heart to say… Chris took his own life. How? We don’t know. It isn’t important. What is important is we all (especially men) need to learn how to ask for help. I keep asking myself how I missed the signs that Chris was struggling. We talked at length about how to help men change their behavior, but we never asked each other how we were doing ourselves. Chris knew how much I appreciated his help, his support and his courage, but I never told him I loved him. And I do love Chris. He is my brother in Christ and I look forward to seeing him again in heaven. Yes. Chris was a Believer. But like all of us (believer or not) we can become isolated which is exactly what the enemy wants. His goal is to steal, kill and destroy us. For me, this is even more reason why we need each other. Chris didn’t ask for help from anyone that we know of. Maybe he struggled like every one of us thinking, “I’m a man. I don’t need help.” Maybe he felt he had his life under control and the enemy caught him at a weak moment. The bottom line is this. We need to be willing to ask for help and we have to be willing to really dig in to get to know our brothers (and sisters). Every man (and women) has a story. We live together. We work together. We have church and Bible study together. But do we really know what each other is dealing with when we are left alone? Whether we are believers in a risen Savior or not, many of us have experienced the enemy’s tactics; making us feel weak, insignificant and alone. This is why it is so important to realize that we are here to help each other. In the beginning, God created man so He (our Creator) could be in relationship with us. He loves us completely. He did not design us to be alone, but to love and support one another. So today I say to each and every one of my family members, my friends, and especially my wife (who I do not tell enough), I love you. We all need the reminder that we are loved. Especially on a day like today. I love how Chris’ wife Dana shared how God showed her His love in the following post a few days after he died. Yesterday after seeing Chris for the last time, I returned home just before a big thunderstorm. Within 5 minutes of me entering our home, the rain began. My home was full of guests bringing me and my family love and support. I stepped outside on our deck and let God cry on me. I lifted my face and arms to heaven and let Him wash over me. It’s not often that it downpours (this) heavily with rain and thunder and the sun shining (all) at the same time. God and I wept together and I was the most drenched by His tears. (As I stepped back indoors) I was told my face looked different and that was because I was kissed by God and covered in His tears. I stepped back into the rain (for more). God does love us so much and He does cry with us now as we say goodbye to Chris. I choose to believe that our God is so awesome that He is now holding Chris. Reminding Chris how awesome he is in God’s eyes. Going forward let us remember Chris for his pioneer spirit and his awesome heart for others. Chris always put our needs before his own. Let us also keep Dana and Chris’ family in our daily prayers and consider helping Dana pay for today’s awesome service with a donation to the Fundraiser for Dana Bradford. How do we know that God has got us? He shows us by revealing His love for each and every one of us… through… each and every one of us. We can all help prevent suicide. The National Suicide Prevention Lifeline provides 24/7, free and confidential support for people in distress, prevention and crisis resources for you or your loved ones, and best practices for professionals. In the past year since posting anything to this blog, life has shifted taking my journey down a new trail. The past year’s adventure has brought great joy and deep sorrow, laughter and tears, excitement and confusion. Through it all God has been there every step of the way. He has instilled in me reassurance through Joseph’s journey that it would have been real easy for Joseph to be pissed off because of his brothers’ efforts to kill him. Even due the fact that they decided to sell him off into slavery, Joseph decided to trust His God and lean in to God’s plans instead of his own. (Genesis 37) In the end God used Joseph to reveal His glory. I have wandered and wondered if maybe I have been trying to force my plans instead of patiently waiting on Him. Because of that, He has placed in me trust in Him knowing that our God and Savior has this covered. His plans are always greater than our dreams. Now; on what I am praying is the light at the end of this dark tunnel, God is working on getting me to an understanding that He is working. Rather than me crying, “But Lord, its quarter to 11.” He is telling me to praise Him in the hallway until He blows open the next door. So, I guess what I’m sharing here is that it is really easy to jump to a position of doubt in ourselves instead of remembering that He wants to use each and every one of us for His glory. In the end He doesn’t need us, but He wants us. Please remember that when this world gets tough. He wants us to rely on Him. To trust Him. God our Father created YOU for His purpose and His purpose is to love us forever. There is nothing quite like the aroma of coffee in the morning, in the afternoon, and for some… at night. Some of us will go out of our way for just the perfect cappuccino, the fullest café latte, and some are all about the richest beans. My guess is you have a preferred haunt with the best barista that you tell all your friends about. If not, here are a few recommended places to check out. Go to their websites for other offerings like the Smelly Cat’s Chia Tea or Mama’s specialty foods. You may enjoy your visit more if you call them to confirm if they have Wi-Fi or not. Some of us cannot drink our cup of joe without an iPad or phone. I would have listed these alphabetically to insure my list is incorrect next to your list, but instead they are provided geographically so you can choose the coffeehouse nearest you. Just in case, here is some help with coffee terminology. best part about drinking coffee. Please let us know about any place we missed. Include all the details so we can check it out when in the neighborhood. Every year we celebrate Domestic Violence Awareness Month in October. This year was no different as we participated in more than 40 events. From a joint City of Charlotte and Mecklenburg County Proclamation to marches on The Square in response to this year’s sixth and seventh local domestic violence related homicides, we rallied the citizens of this county to help raise the banner and extend a life line to potential victims in our neighborhoods. Some of the events were strictly awareness efforts. Some were benefits with proceeds going toward helping provide services for the more than 1000 clients we serve every year through our Adult, Children and Batterer Services. 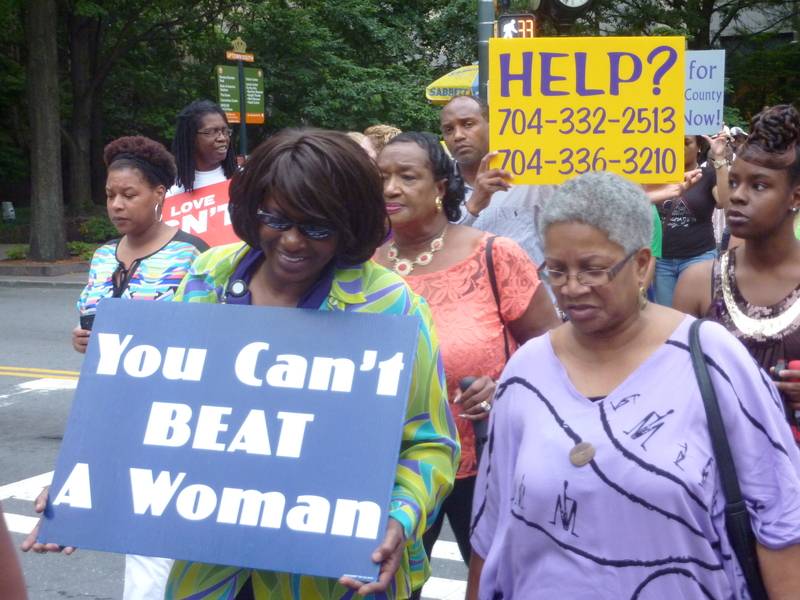 From RAD Charlotte rocking against domestic violence to candlelight vigils we know at least 5,623 citizens of Mecklenburg County were engaged in these efforts. Thanks to all of the advocates and countless volunteers for helping us spread the word. 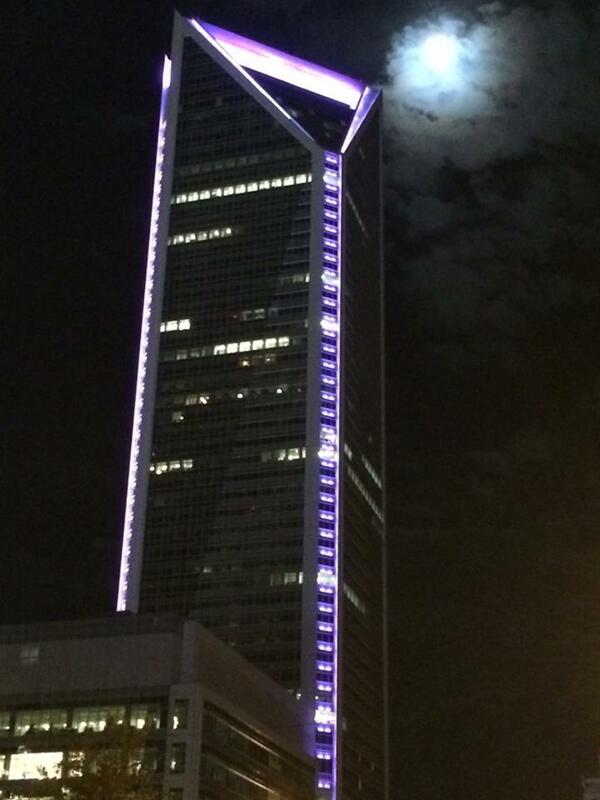 With other efforts like the Wells Fargo Duke Energy Building being lit up in purple to the Diversity Council’s discussion on The Impact of Cultural Differences on Domestic Violence in Mecklenburg County to Power98’s Power Talk radio and television specials, we cannot gauge how many were actually reached. On October 6th, WSOC-TV aired a one-hour special entitled Stand Up To Domestic Violence. With testimonies from abuse victims to perpetrators to bystanders interceding there were a lot of educational and powerful moments. Community Support Services partnered with WSOC-TV in this effort by providing 7 staff and 10 volunteers from the Domestic Violence Speakers Bureau to answer phone calls from viewers in an effort to connect them with local services. The 110 calls that came in from viewers in 22 counties ranged widely. One gentlemen with a warrant was convinced to surrender. Another women who has endured verbal abuse for more than thirty years was referred to Adult Services for safety planning. Our challenge now, as November moves swiftly toward December and we get lost in the Holidays, is that we do not forget about the countless number of male and female victims that are living as prisoners in their own homes. All at the hands of their abuser. As the Domestic Violence Fatality Review Team reminded us again this month, domestic violence is a year round problem. Join us as we work toward diminishing this problem and clearly communicating to all of our neighbors and constituents that Mecklenburg County has zero tolerance for domestic violence. For more information on how you can help raise the banner against domestic violence, contact the Domestic Violence Speakers Bureau at 704-432-1568 or go to http://DVSB.CharMeck.org.